We have some AMAZING colors for you to work with! Keeping it simple this round. 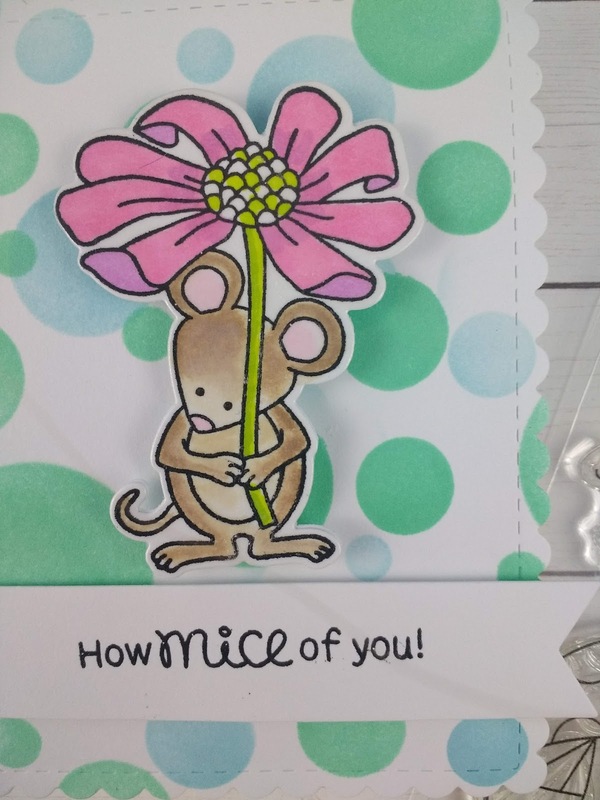 Using the NEW Garden Mice Stamp Set! As always, lets start with the background. Using the Bokeh Stencil I inked up some white card stock with Cracked Pistachio Distress ink. I started very light with the ink and worked my way up to the color that I wanted. 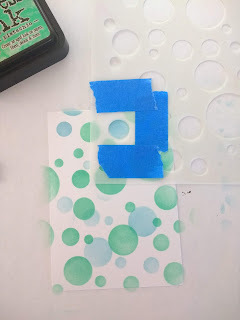 I taped off a portion on my stencil with blue tape and added in my blue circle strategically where I wanted them using Broken Glass Distress Ink. the pink in the flower stood out against my background. and attached this to a card base. from the Frames and Flags Die Set. 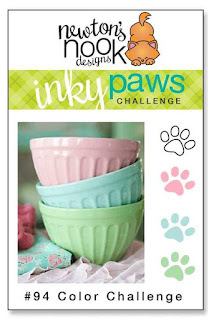 This is MY take on this fun color challenge! Now it is your turn, what will you create? 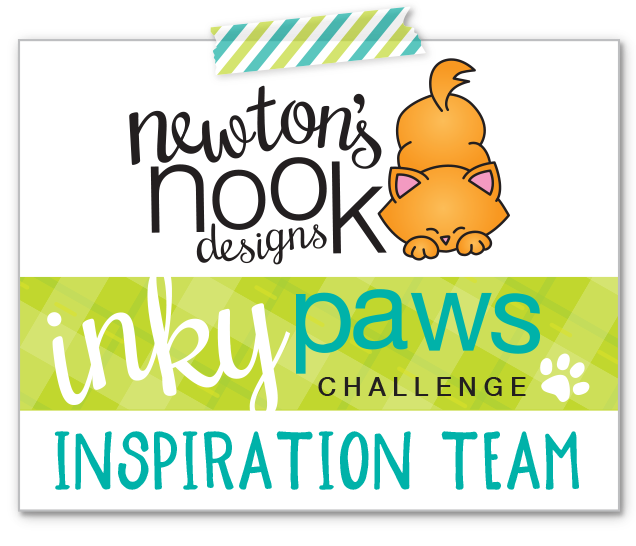 Use the link in the challenge picture above to show us. This is so adorable! I love the little mouse amongst all the fun dots! What a great spring card!